Can I Change My Legal Representative? Can I Provide A 100% Guarantee I Will Win Your Case? What Are The Benefits Of The Paralegal? Can You Help With Criminal Matters? When Am I Considered To Be Retained? What Is The Law Society Of Upper Canada? Will The Information Shared With My Paralegal be Confidential? Your legal representative’s performance is extremely important. If your case is not going the way you want or feel like your case is amiss, you have the right to change your legal representative. 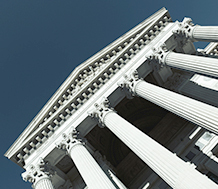 Contact your previous legal services firm and representative. Inform them of the new situation, so you never have to speak to them again. Have your file delivered to us. It is a written contract between the Paralegal and the client that establishes the terms of the contractual relationship. It is only established when the client agrees to hire the Paralegal and the Paralegal agrees to provide legal services for the client. The retainer should, in written terms, identify who the client is and the person who will provide instructions to the client. A Paralegal is a non-lawyer agent who provides legal services to the Ontario public. Similar to a Lawyer, a Paralegal must be licensed with the Law Society of Upper Canada and abide by the standard of learning, professional competence, and professional conduct guidelines set out by the Law Society of Upper Canada. The Law Society of Upper Canada has determined that it is unethical and unprofessional for our legal services firm, Paralegals, and any legal services provider to guarantee 100% they will win your case. If someone were to guarantee you this, they are not abiding by the guidelines and standards set out by The Law Society of Upper Canada. While we cannot guarantee that we will win, we will guarantee that we are competent, dedicated, and passionate about what we do and strive to provide you with the best possible outcome. Paralegals are licensed, insured, and qualified to help you with your legal needs, just the same as Lawyers. The main benefit of a Paralegal is that they are more affordable. This allows legal services to become more accessible to the every day public. Yes. 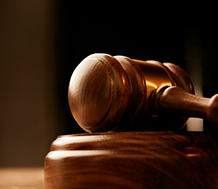 We are able to help you with your criminal matters. Paralegals are able to deal with minor criminal matters so long as the maximum term of imprisonment does not exceed six months. If we are unable to handle your criminal matters, we work very closely with many different lawyers in different areas of law. 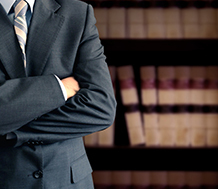 We would be more than welcome to put you in contact with them to resolve your legal issue. You are considered formally retained when both the client and the Paralegal signs the retainer agreement and money is paid by the client to the Paralegal for future or current legal services. The Law Society of Upper Canada is the regulator for all Paralegals and Lawyers. They ensure that the standards of learning, professional competence, and professional conduct are upheld by all legal service providers. Every Paralegal has the duty of confidentiality, regardless of whether you have retained the Paralegal or have a discussion with the Paralegal as a non-retained client. All information disclosed at that time is held is confidence and shall not be disclosed to any other person unless authorized to do so.